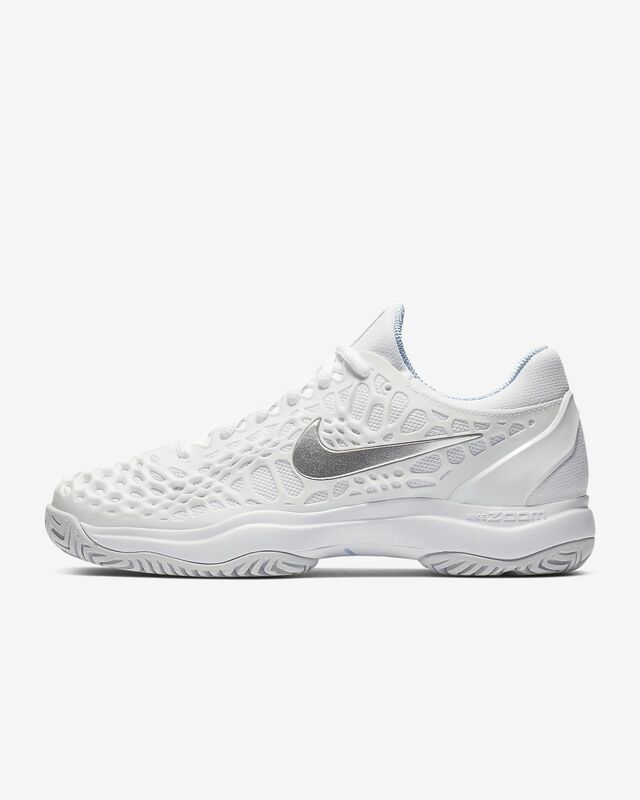 The NikeCourt Zoom Cage 3 is made for the player seeking strength and speed on the hard court. The shoe’s unique cage design provides maximum durability and cushioning, and is also lighter than ever. DESIGNED FOR STRENGTH AND SPEED. 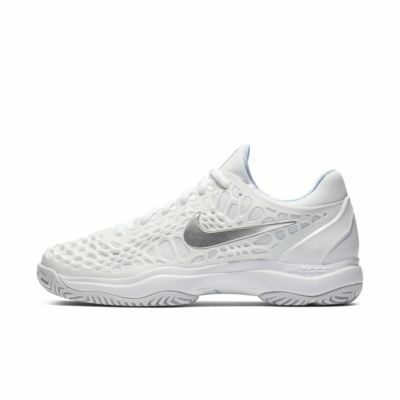 Made with a lightweight CPU cage built up in the high-wear areas specific to tennis. “Zoned” cage adds stability without adding weight. The zoned outsole delivers excellent traction and durability. Ideal for hard-court surfaces. Nike Zoom Air unit in the heel delivers responsive, lightweight cushioning. Inner sleeve wraps your foot for a snug fit. External heel clip is efficiently shaped to secure the heel. Flexible support in the midfoot provides lightweight stability. Kurim material on upper allows for elasticity and flexibility. Absolutely recommend! I have always had problems with shin splints and after a day of practice is these they were gone and haven’t bothered me since! I read many reviews that these were very narrow and hard to break in which made me very hesitant because I have always considered myself to have wider feet but they fit like a glove, and haven’t hurt my feet once. Absolutely love these shoes! My daughter liked this particular shoe so much after owning a pair in dark grey and orange quartz, that she ordered them in elemental rose this time. After my daughter wore these shoes for a only month, she noticed a huge, deep crack in the rubber outsole of her left shoe, and also found a few small cracks on the outersole of the right shoe. Nike allowed us to return these for a second pair, same shoe. After wearing this pair for only two days, she noticed a crack starting to form on the rubber outsole of her shoes. A few of her friends on her tennis team have experienced the same problem with these shoes- cracks in the outersole. It must be a bad line of shoes.Write your review here. It must be at least 5 characters long. Consider whether you would recommend this product and what you like or dislike about it. Outsole durability is guaranteed for six months.